You are here: Home / Travel Guide / Explore China with Jetstar’s discounted airfares till May 28 2010! 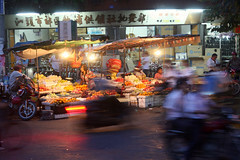 Explore China with Jetstar’s discounted airfares till May 28 2010! Jetstar is promoting traveling to two cities in China – Shantou and Haikou; the sale is on till May 28! Seats are subjected to availability and fares may not be available for peak periods and public holiday. A service fee (per person per sector) is applicable for booking Call Centre. Applicable to Jetstar (3K) and Valuair (VF) flights from Singapore. Bookings made cannot be transferred, refunded or cancelled. Terms and conditions are subjected to changes without prior notice.